There are various advice about how to speed up Excel. Also we’ve published an article about how to increase the performance of Excel (actually it’s our most read article). But we’ve asked ourselves: Which of these advice really help? Furthermore: How much time can you save with it? That’s why we measured how long Excel calculates under different conditions. We found some surprising results. Which lookup formula is the fastest? Our goal is not to get some laboratory results. 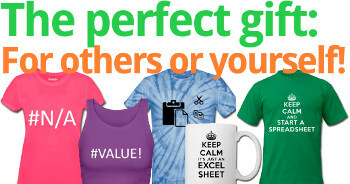 We rather want to know, how Excel behaves under realistic work conditions. Before we jump right in with the results we must take a quick look at the method. Please scroll down to the end of this article for the method and hardware in detail. 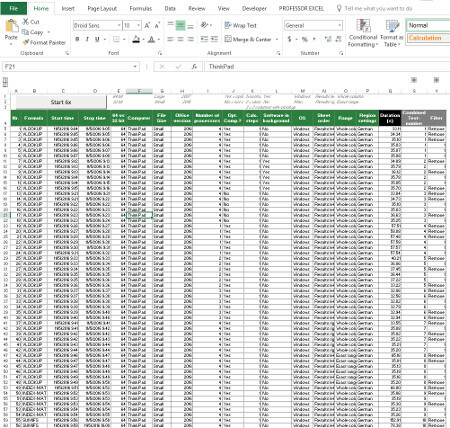 Measuring is done with an Excel file with 100,000 VLOOKUP formulas. A VBA Macro determines the exact calculation time. Only one variable is changed at a time. The tests are done on two computers: A new Lenovo ThinkPad and a late 2013 (“medium-good”) MacBook Pro (the detailed specification are at the end). Each setting is calculated 6 times. The first run is removed as well as the slowest and fastest run. If the results are not as expected or the impact is especially large, the specific test was repeated under different settings. 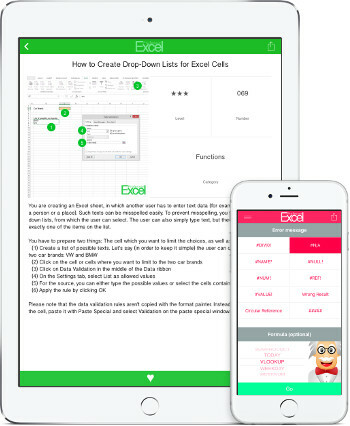 The 32bit version of Excel is app. 10% slower than the 64bit version. 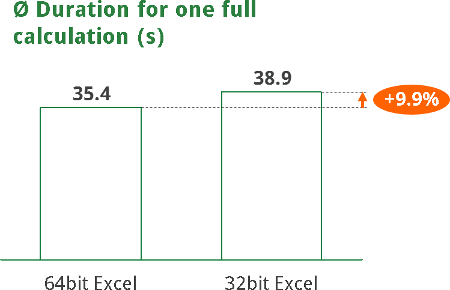 The first question: Is the 64bit version of Excel really faster than the 32bit version? The results are quite clear: The 32bit version of Excel is app. 10% slower than the 64bit version of Excel. Or the other way around: The 64bit version is 9% faster than 32bit. As of now, Microsoft still recommends going with the 32bit version. But the arguments supporting 32bit are mainly that some (older) add-ins and data connections might not support 64bit. So maybe you should just try it and see, if the 64bit version works for you. 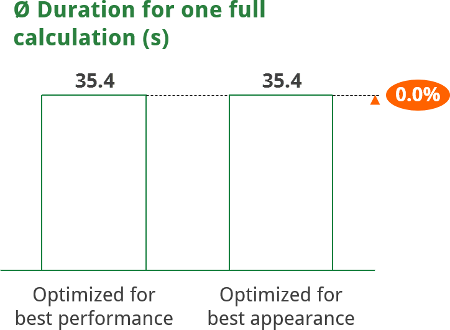 Optimize the computer for best performance doesn’t affect the speed of Excel calculations. 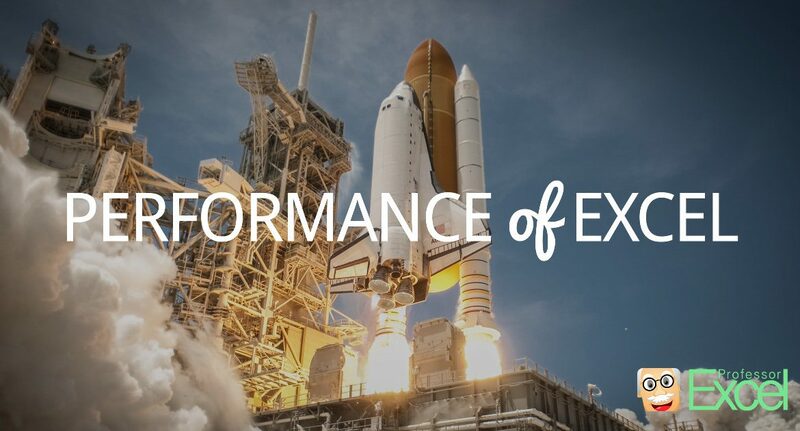 Windows provides the functionality to optimize the computer for best performance. Therefore, go to settings, system and advanced system settings as shown on the image no. 1 to 3. We tested one time with all tick marks set (“Optimized for best appearance”). Then we compared it to the option “Adjust for best performance” (no ticks set). Windows offers to “optimize the computer for best performance”. In our test we couldn’t verify that optimizing the computer for best performance really speeds up Excel. As there doesn’t seem to be a difference in calculation time we recommend you to stay with your preferred layout option. Under Windows, the regional settings have a major impact on the calculation time of Excel. We actually didn’t plan this test but rather found out by coincidence. 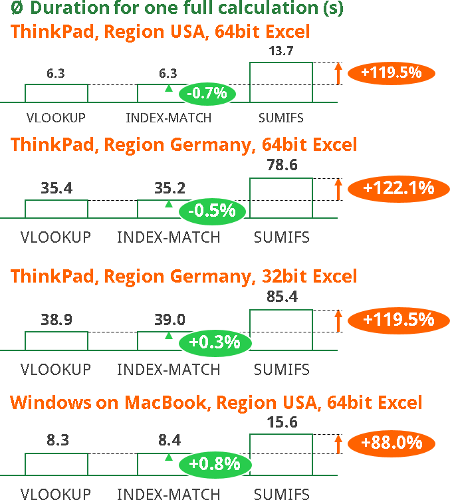 The regional settings seem to have a big impact on the performance of Excel. We compared the region “German (Germany)” with “English (USA)”. 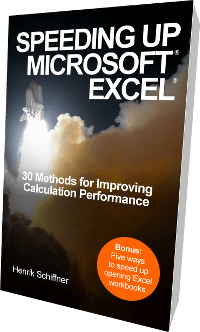 Surprisingly, these settings seem to have a major impact on the calculation performance of Excel. 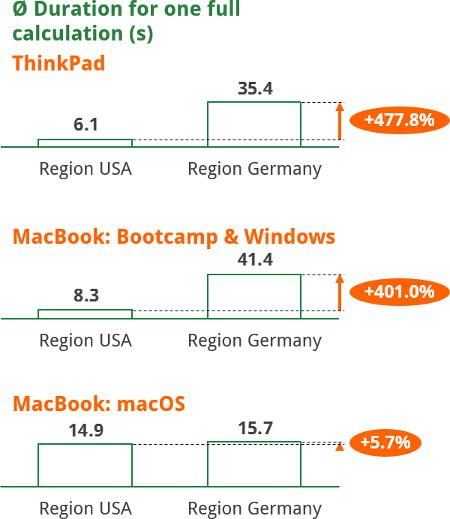 As the difference is so huge (+400 – +500% of calculation duration), we repeated this test under the three environments of the ThinkPad, Windows on a MacBook under Bootcamp as well as Excel for macOS. More surprisingly, the difference seems to come up only under Windows. A possible explanation could be that Excel first translates the formulas into “English” before really calculating them. The calculation times vary depending on the region settings. 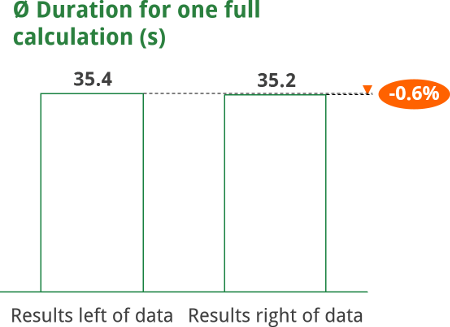 Such big difference of calculation times led us to investigate further: How are the calculation times with other region settings. We compared the top languages around the world and found even more interesting results. 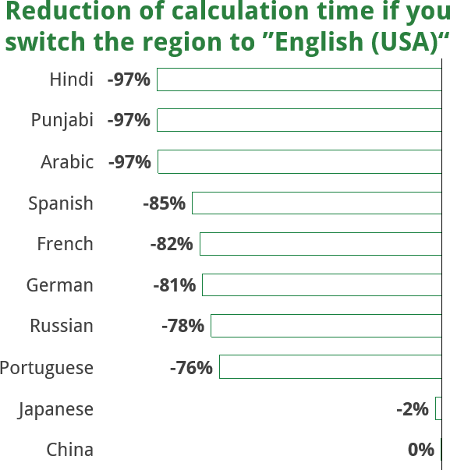 The table on the right hand side shows the reduction of calculation time if you switch from a region to “English (USA)”. Hindi, Punjabi and Arabic even reduce the time needed for calculating by even -97%. Choosing “English (USA)” instead of Spanish, French, German, Russian or Portuguese reduces the calculation time by around 80%. Only Japanese and China are almost as fast as English. The number of processors or threads used for the calculation has a big impact on the performance. We assumed the following relation: The more processors you use, the faster Excel calculates. 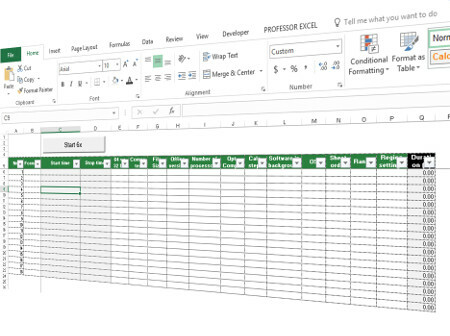 Excel provides the option to choose the number of processors to calculate on. As our test computer has 4 processors, we could choose between 1 to 4 processors. First of all, the relation of number of processors and performance turns out to be true. It seems like the difference in calculation time is between 63% and 94% higher with 4 processors than just one (highlighted in orange) . But there is one surprise: Calculating on 3 processors (it says 3 threads on 4 processors) seems to be slightly faster than on 4 processors (highlighted in green). Unfortunately, we don’t have an explanation for this behavior. Therefore if you have an idea of why 3 threads are slightly faster, please let us know. A large file size also reduces the calculation speed of Excel. We always wondered, if the file size has an impact on the calcution time. That’s why we prepared a test file with many more worksheets, just containing hard values (no additional formulas). The “large” file had 25 more worksheets and had the file size 26,116 KB whereas the “small” test file was just 2,336 KB. There seems to be a significant difference in performance: Calculating the same number of formulas in a large file seems to be significantly slower than in a small Excel file. So the conclusion: You can save up to 8% of time by removing old data from your file (the actual number of course depends on the amount of data you have in your file). Open some standard Office software might increase the calculation time slightly. We often hear the suggestion to close all other programs in order to speed up Excel. But do other programs really have an impact? We didn’t use these programs but just let them stay opened in the background. Our test revealed that closing all other programs in the background reduces the calculation time by app. 1.2%. Of course, this highly depends on your hardware and the CPU and RAM usage of the other programs. Is it better to spread a formula over two columns or to have a longer formula within 1 column? Is it better to have an additional column or to put two formulas into one Excel column? Each lookup formula in 1 column so that the first column with the first VLOOKUP is the input value for the second column. The formula is divided into two columns. Having a longer formula within 1 column. 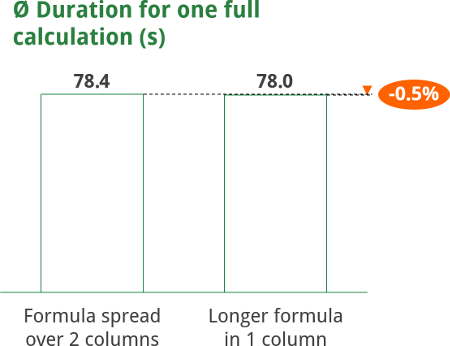 The direct comparison shows: Having a longer formula in 1 column is slightly faster. You can save app. 0,5% of calculation time. VLOOKUP and INDEX/MATCH are much faster then SUMIFS. We’ve already evaluated in detail which formula to use in which case. The only aspect we haven’t really talked about is the performance. The difference between VLOOKUP and SUMIFS as well as INDEX-MATCH and SUMIFS seems to be very clear: The calculation time of SUMIFS is app. 90% to 120% longer than either VLOOKUP or INDEX-MATCH (highlighted in orange color). 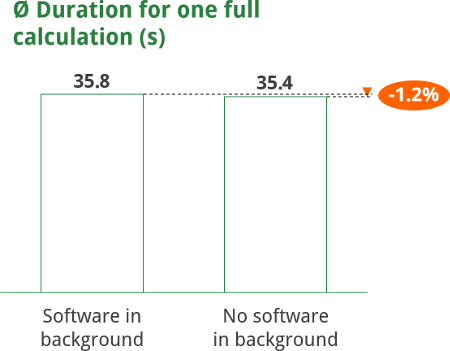 If we put it the other way: VLOOKUP reduces the calculation time by 53% towards a SUMIFS. The difference between VLOOKUP and INDEX-MATCH seems just minor and it seems under different condition, INDEX-MATCH is in some cases faster and in other cases VLOOKUP shows a better performance (highlighted in green color). That’s also the reason why we repeated this test 4 times under different conditions. Should you still use the SUMIF formula? In terms of perfomance, is insignificantly faster. Is there a difference between the “old” SUMIF and the “newer” SUMIFS? In order to compare these two formulas, we only used SUMIFS with one criteria. So both formulas have 3 arguments each. The results: SUMIF seem insignificantly faster. 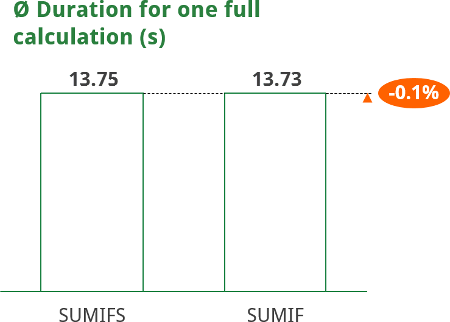 You could save around 0.1% of time by using SUMIF instead of SUMIFS. That’s why we recommend only using SUMIFS. It has more advantages towards SUMIF as the structure is clearer and – of course – you can use up to 127 criteria. You can save time by using =MAX(A1,0) instead of =IF(A1>0,A1,0). But which one of them is faster in terms of calculation speed? In our test, the second option (MAX) is app. 6.3% faster. So if you use this IF function a lot, you might want to replace it with the MAX formula. But please keep in mind that 100,000 rounds of calculation just take 0.05s. So unless you aren’t having a workbook full with this formula you won’t save much time in absolut numbers. It’s more important to choose the regional settings than the operating system. Honestly, we are not sure how much you can compare those two systems in terms of Excel calculation time. In order to at least get an indication of the performance, we used a MacBook having both macOS Sierra and Windows 10 (Anniversary edition). Windows runs under Bootcamp. Both systems have their latest versions of Excel. Our test shows once again: the regional settings are more important than the operating system. With the region English (USA) macOS is much slower (needs almost 90% more time). 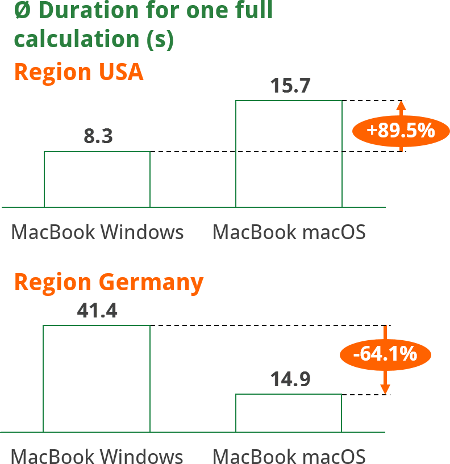 If you set the region to Germany, macOS is significantly faster. In conclusion: If you choose the region USA you should use Windows under Bootcamp for your Excel calculation. If you choose Germany, stay under macOS. The sequence of the worksheets plays a minor role. Especially with old versions of Excel it was recommended to choose the sequence of worksheets carefully. Excel was supposed to calculate faster if the formula sequence was aligned with the worksheet order: The formulas on the second worksheet should depend on the first worksheet. Consequently the formulas on the third worksheet should depend on the second and so on. So is this rule of thumb still up to date? Our test shows that if the worksheet with the formulas (or results) is located on the right side of the input data, you can save 0.6% of time. As assumed: The new ThinkPad is faster than a 3 year old MacBook running Windows with Bootcamp. This test only has limited validity. But it’s still interesting to see how an older MacBook (late 2013) compares to a new ThinkPad (2016). As assumed, the ThinkPad is faster. 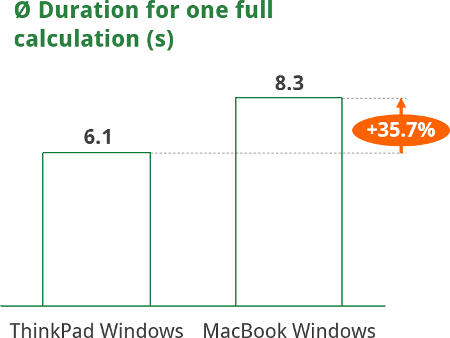 The MacBook with Windows under Bootcamp needs 36% more time for calculating. 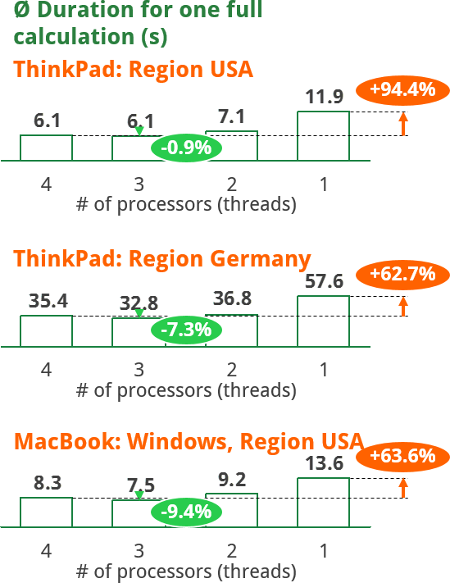 Or the other way around: The ThinkPad needs 26% less time than the MacBook. One interesting side observation: As a result of the different cooling systems of the two computers, the fan of the ThinkPad was running the whole time on high power. Opposite on the MacBook: the fan didn’t turn on during the whole test. 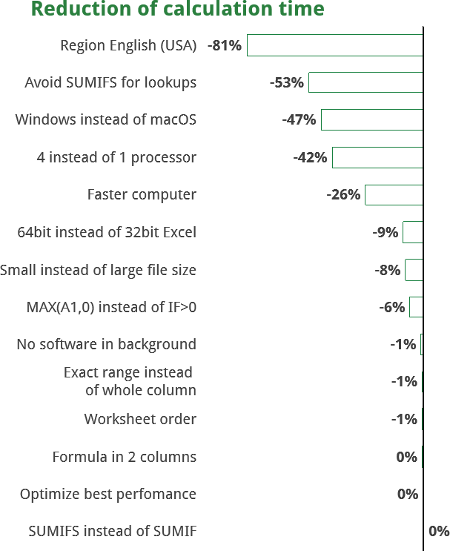 We measured which tips actually increase the performance of Excel. The biggest impact on the calculation time is easily achieved: Switch your computer to the region “English (USA)” (if not done yet). Avoiding the SUMIFS formula for lookup also cuts the calculation time by half. Of course only if you use it a lot. If you have the choice: Use Windows instead of macOS for your calculation. This one is possible for most users: Make sure you calculate on all available processors (or in our case also 3 threads lead to a slightly faster performance). Surprisingly, a faster computer (in our case MacBook Pro late 2013 vs. 2016 ThinkPad) “only” decreases the calculation time by 26%. If you can, switch to 64bit Excel instead of the default 32bit version. Also, now it might be time to remove all old data from your Excel file. 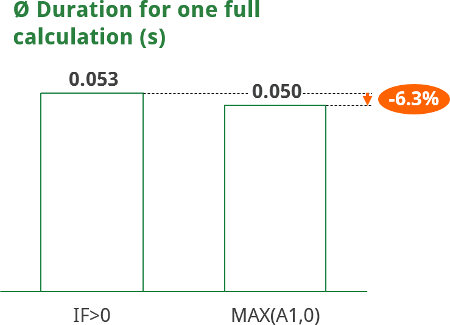 Just a minor effect, but still -6% of calculation time: Use =MAX(A1,0) instead of =IF(A1>0,A1,0. All other advice only have a minor impact. 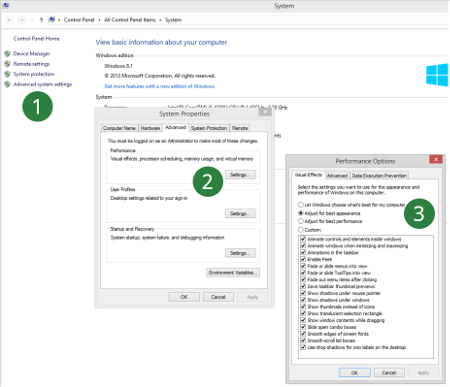 For example closing all other programs, using the exact cell ranges, changing the worksheet order or optimizing the computer for best performance. Each specification runs 6 times. The first result will be removed. Of the remaining 5 runs the slowest and fastest were also eliminated. Of the remaining 3 runs, an average time is calculated. Small file without additional data. Base formula: 100,000 x VLOOKUP. The VLOOKUP formula on Sheet1. The data for the VLOOKUP on Sheet2. The results (time stamps) on Sheet3. Download the test file and test your Excel. Please feel free to download the test file and do your own analysis. Just press start and Excel will do 6 full calculations. We already prepared some columns but you can of course modify them. Only column C and D must stay the same as the start and end time will be written here. 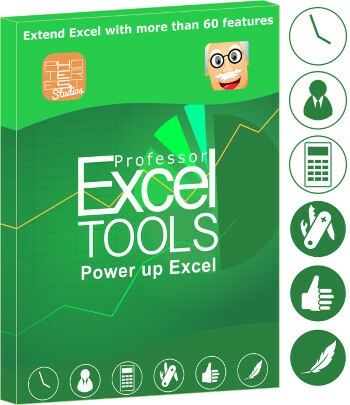 We used these versions of Excel: Excel 2016 64bit, Excel 2016 32bit and Excel Mac 2016. Thanks for the feedback! For me, Bootcamp works quite well. Therefore if you got an idea of why 3 threads are slightly faster, please let us know. Well, my guess would be that having three threads, it takes three cores for them, the fourth core is use by the operating system. Where as if we use 4 threads, the 4th core has a conflict with the system. Thanks for the feedback. Unfortunately, there is not much information about this issue available. That leaves me with guessing. Therefore, your idea could be correct. I would just like to add, that it highly depends on your workbook. As far as I know, Excel tries to divide the calculation performance by the calculation chains. Because of that, the performance could differ for different workbooks. thumbs up for the article. Great article someone who lives and breathes spreadsheets. Thank you for the depth of the research. Thanks for this. Very interesting and useful. There was one aspect I was interested in but that wasn’t included though. I don’t know if you’ve investigated this before or since. Do you know if, all else being equal, more RAM or a faster CPU make more difference? For example, an Intel i5 with 4GB or 8GB RAM. vs an Intel i7 with 4GB or 8GB RAM? I’d be interested to see which PC components give greater speed for Excel. 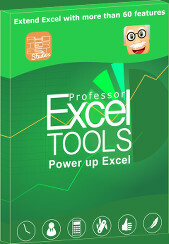 -Excel Workbook with 54 sheets and some vba macros. Faster Excel with VBA code is Excel 2007. But the fastest combination I found is Windows Server 2003 (32bits) with Excel 2007 (32 bits). All these test have occupied me two weeks. Finally in my Company we are working with Excel 2007. Better versions, the older versions. I was very surpised by the speedgain due to the language setting. Since I have many large sheets which run a considerable amount of time, I decided to take some tests too with my sheets, using your “VBA-Macro_Measuring_Calculation_Time” sheet. In all my cases I did not noticed any speedgain at all. Only your example with the 100K vlookups was way faster. In many of my sheets, calculations are performed by VBA code. Very interesting results. Thank you for doing this work and publishing for us to learn. Did you try English(USA) against say English (UK) or English (India)? Basic numerical formats remain the same but dates differ, so I wondered if they still do some “translation” between them. My time was 1.5s! Yes 1,5 seconds. Either 2016 office is so much faster or then i5-8400 cpu is on another level compared to older cpus. Also can you compare Excel 2010 vs Excel 2016. My own test show a performance difference of 30% in favour of Excel 2010. Can you confirm? It might be interesting to use similar techniques to compare excel and libre office calc. This will be NIGHT and Day in performance… like HDD vs SSD in performance. i3-6100u loaptop 7,8s and after 0365 1809 build time dropped to 0,16s! Now it is only 0,16s. –>office build 1809 is MUCH faster in this test. Stragely my slowest computer is fastest in this test! I also made a few tests switching the Display language from French to English. Gain of roughly 10%.